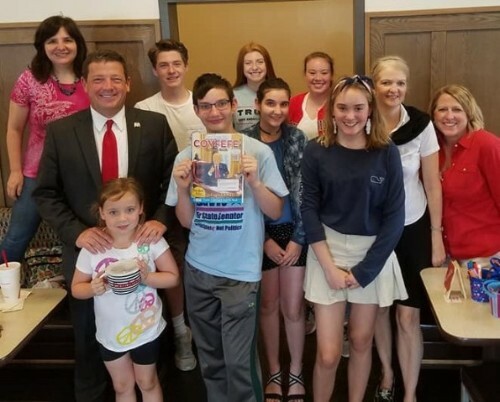 We recently had a lot of fun with Ed Martin unveiling his new coloring/comic book with the Phyllis Schlafly Next Generation Eagles. So important to get the next generation involved! Frequently, people ask if I plan to run for any public office again. It’s a fair question, but I’m not sure our Country is in a place where the voters want Christians or Constitutionally minded people in office. The masses that listen to the media and popular icons of the left demonstrate that adhering to the Constitution is not that important to the rank and file voters. Our screams, “That’s not Constitutional!”, are often met with yawns and waves for us to move on to relevant information. Most of you understand what’s at stake and I love constituents who are committed to Constitutional principles. However, the hearts of voters need to change before we will see real change in our Country. Texas hosted an event called “Crossover Harvest”, the first stadium crusade since the death of Billy Graham. It was attended by over 35,000 people. The speaker, Greg Laurie, said this: “How many of you think America needs a revival? There is hope for America tonight; it’s not a political solution, it’s a spiritual solution – our nation has spiritual roots, regardless of what the revisionists say”. We can’t expect more out of our governments until there are people running the Country with better morals. We can’t expect the Country to do better until we have office holders who fear God and value His commandments. Plenty of good candidates lose elections every year. Sometimes there are no good candidates, but frequently we fail to support good ones even when they are on the ballot! Those who study elections will tell you that most voters tend to vote for whoever they think will win instead of who they believe will do the best job! Kristi Nichols is an inner city pastor from Kansas City. She unapologetically claims to be a Christian. Some people criticize her saying we need a senator, not a pastor. I’ve met her in real life and can assure you that she is honorable. It would be ideal if we could all meet the candidates before an election. The candidates can’t get to everyone with millions of citizens, but through the marvels of technology, I give you the opportunity to listen to my conversation with her. 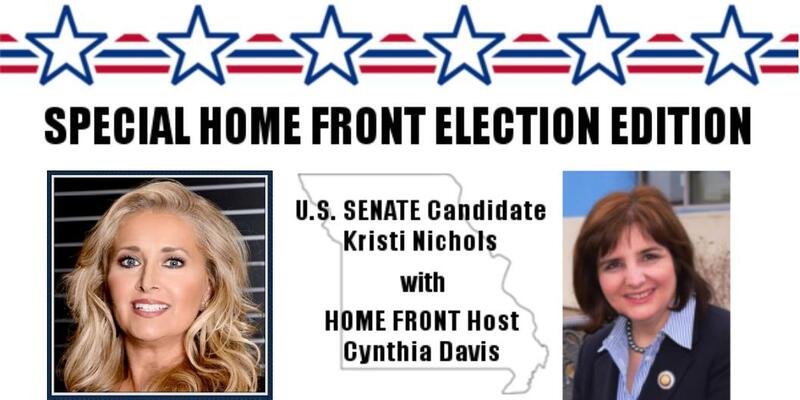 I urge all of you to listen to her message about why she’s running for US Senate and then make up your own mind on whether she resonates with your ideals. Do you believe our Country is capable of electing Christians to public office? It is good to hear President Trump say GOD in his speeches and be unapologetic for doing so. I think it is important to have good moral values in our candidates and most of our morals come from Christianity. So yes I believe it is good to have Christians run for public office. That being said we shouldn’t vote based on Christianity or we will be disappointed, we should be voting on past success or failures – both of which tell you something about the person. Do not hold up Christianity as a banner but as the guiding light to which we all try to achieve success by. Yes! That’s a good response. When I interview people for a job, I always want to hear about how they overcame in past situations. Share your victories and how they will apply to the next challenges to come! Correct! The solution to our current predicament as a Christian nation, which we once were prior to the adoption of the U.S. Constitution, is first of all, spiritual! It is the spiritual condition of our nation that determines our social condition, and our social condition which determines our political condition, and our political condition which determines our economic condition. As we know, our economic condition is built upon economic fraud and usury by and through the private, non-federal, non-reserve, fraudulent banking system owned and controlled by the international banking cartel foisted upon us on December 23, 1913 by the Federal Reserve Act which succeeded in bankrupting the U.S. government in just 20 years in 1933. The debt is now in excess of $21 TRILLION! It is designed to keep all Americans in perpetual debt and involved in perpetual warfare upon which the “banksters” profit in their insatiable greed and lust for innocent bloodshed! The U.S. Constitution will not be our salvation, nor will any political candidates elected to run the U.S. government because the U.S. Constitution is fatally flawed and the U.S. government and the humans we allow to run it are trying to ride a dead horse! President Andrew Jackson, who successfully rid our nation of the antichrist “moneychangers” and their fraudulent banking system whom he referred to as a den of vipers and thieves, once said that the Bible is the Rock upon which our republic rests. He was right! Back in the 1700’s, when the battle cry was “NO KING BUT KING JESUS!” (“The Light & The Glory” by Peter Marshall & David Manuel) it was said that we Americans would either govern ourselves under our Creator/Savior’s laws, or we would be ruled by tyrants and oppressors. Why are we having all these problems? The answer is simple: We are experiencing what is prescribed in Deuteronomy 28:15-68 for our failure and refusal to heed Deuteronomy 28:1-14. What most professing Christian Americans fail to realize is, we each have a duty and responsibility to our Creator/Savior to establish our society & government in accordance with our Creator/Savior’s absolute, unalterable, eternal, and perfect social, political, economic, environmental order and moral code, and that we have failed in that duty and responsibility and are suffering the dire consequences. What is the root cause of this falling away? Many professing Christian Americans will tell you that it is because “Satan” is in control of this world and there is nothing we can do until Jesus comes again to save us WHICH IS A LIE! Others will tell you we must have separation of church and state, ANOTHER LIE! The “Satans” (yes, there are many such antichrists in our midst (I John 2:18-23, I John 4:1-6 & II John 7)) among us are those identified in Revelation 2:9 & 3:9 whom our Creator/Savior is using in His chastisement of us pursuant to Deuteronomy 28:15-68. You see, they prosper upon our lawlessness and so they infiltrate and corrupt our society & government with their evil wickedness. They’ve also infiltrated most all organized Christian religious denominations with false doctrines of men to conceal themselves, outwardly appearing as good, but inwardly are as ravening wolves. They are further identified in in Malacchi 1 and Romans 9 as the descendants of Esau/Edom where they are called our Creator/Savior’s “vessels of wrath fitted for destruction” whom He hates, while He loves us, the descendants of Jacob/Israel today known as Caucasian Christians in our respective lands (“multitude of nations”) of which the USA is but one wherein He has placed us to be free under His “perfect law of liberty” (James 1:25). We Christian Americans have a lot of work to do in our turning back to our Creator/Savior starting with II Chronicles 7:14, then II Corinthians 10:2-6, whereupon once again, we will see what is described in Matthew 13:37-43 come to pass as Malachi 1 and Obadiah are fulfilled as all the antichrist Edomite (RED) socialism/communism built upon economic fraud and usury in our midst will be utterly destroyed and the “devils” who inflicted it upon us will be fleeing from us and the certain wrath of our Creator/Savior upon them and those who follow them! She said nothing about what she would do in office. She said nothing about her family — what does her husband do. Are there any children? Perhaps I sound critical, but I am being very practical. She did not in an hour interview establish her position on anything — other than perhaps murdering of babies. I pray to Jesus in depth and ask Him to guide my voting. I have vetted the candidates and I did change from the first one I had chosen. Now I am staunchly for Courtland Sykes (I just wish he would change his pictures with that scowl as it had turned me off) I have spoken with him and also checked his Christian beliefs and I am very satisfied. Each of you do your own praying to Jesus and vet these candidates. I close in prayer –Dear Lord Jesus guide all of us voters in Missouri that we vote as You Lord so will. I believe that good candidates can be elected to public office. 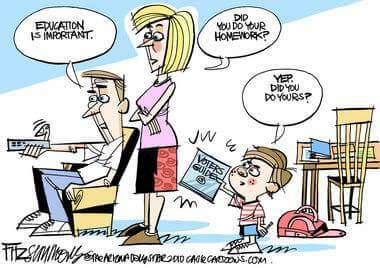 We just need a system of voting that will help. That system is called Ranked Choice Voting. Here are some links about Ranked Choice Voting.